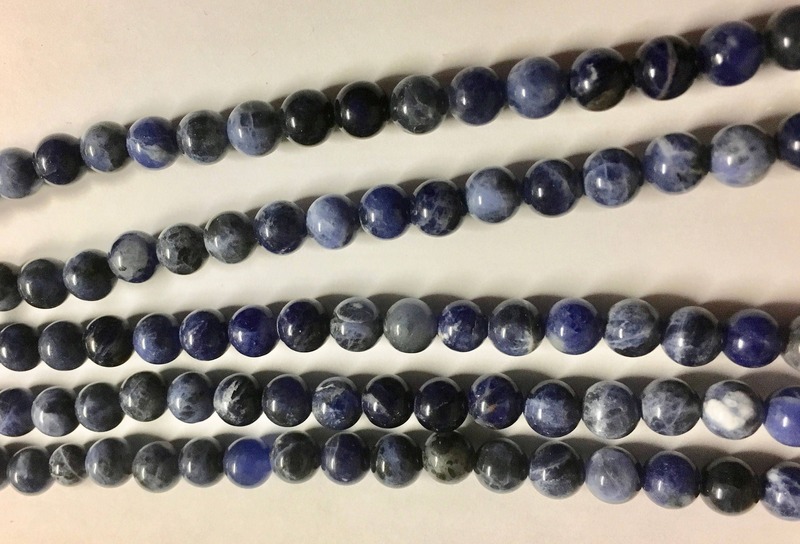 Sodalite gemstone strand, 6mm round. Approx 31 beads on an 8 inch strand. Well known for its blue color, sodalite may also be grey, yellow, green, or pink and is often mottled with white veins or patches. Although somewhat similar to lazurite and lapis lazuli, sodalite rarely contains pyrite (a common inclusion in lapis) and its blue color is more like traditional royal blue rather than ultramarine. It is further distinguished from similar minerals by its white (rather than blue) streak.